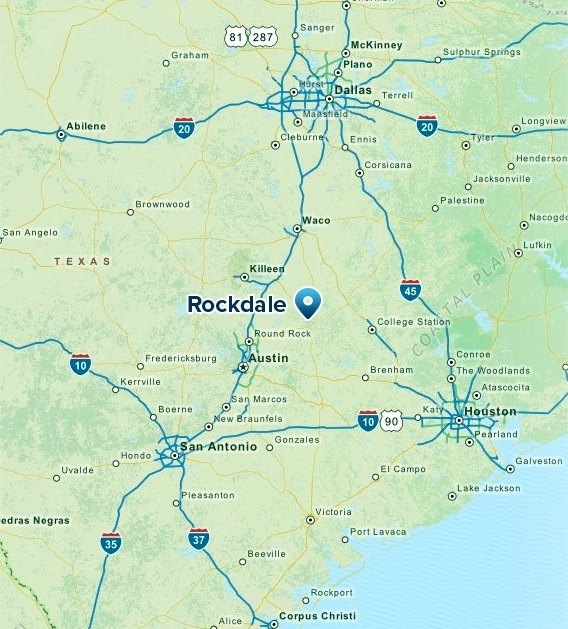 The founding of Rockdale began when the International and Great Northern Railroad was building their rail line west from Palestine to Austin. Today, Rockdale is a growing city with so much to offer! We invite you to experience life outside of the big city with all the convenience of being in close proximity to Austin, Dallas, and College Station. Rockdale still has that small town Texas feel rooted in the history and culture of the Lone Star State. Come experience that balanced quality of life with us here in Milam County. Let us help you find the perfect location for your business to grow here in Rockdale. Perfectly situated on major highways right between Austin, Waco, and College Station. Exciting projects, local growth, and state wide news- keep up with the latest economic impact news for Rockdale.